You won’t hear about it on the evening news. 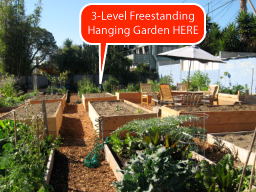 The papers might cover it on page 30 of section Q, but a groundswell is underway in LA that could become one of the cornerstones of an emerging “Pangaea food forest,” a meta-solution and rebirth of the commons I’ve shouted out about a few times on this blog. Here are a few shots from recent community garden builds at LA public schools, one on the Westside, the other on the Eastside. The Westside: Coeur D’Alene Elementary in Venice, there’s me working alongside around 200 volunteers coordinated by Norma Bonilla and Frances DellaVecchia one recent Saturday. Thanks also to Creative Artists Agency, 44 rocking YouthBuilders, Robert Redecker, Francisco Castillo, Boho Chic and a whole lot of others. The Eastside: George Washington Carver Middle School in Watts, where there’s been a roughly weekly happening coordinated by Athena Demos of Burners Without Borders and Clarency “Lucky” Luckey of LAUSD, thanks also to WorldWorks volunteers and a whole lot of others. So… let the games begin. We’ve got the baddest gardens. No, we do, Westsiyeeed…! Let it rip! Vertecology’s gonna get nasty and play both sides. For more on the Carver Garden and how to get involved if you’re in the LA area: www.laburningman.com, click on the “Carver Garden” menu link. For more on the Coeur D’Alene Garden and how to get involved: contact Norma, the Garden teacher at norma@earthbreaths.com.